Here in Indiana there are some politicians and others that are wanting to pass a law defining marriage as only between a man and a woman. This is a law that would moves us away from equal rights and towards bigotry. This law was created by those who are determined to force their religious interpretation of marriage onto others. What happened to treating others as we would want to be treated?! I’m actually quite disgusted with those who have pushed this through the process to become law. While a third of the country has taken a step forward by legalizing gay marriage, there are those in Indiana that want to move our state backwards. 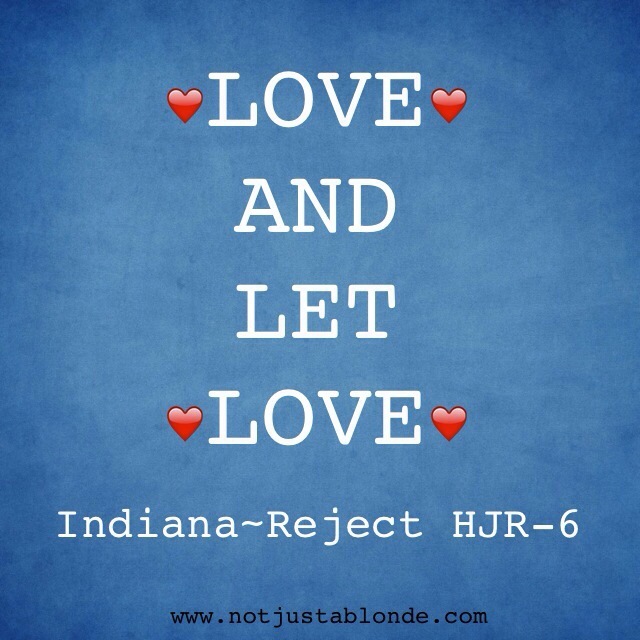 Please pray for Indiana that we might “Love and let Love!” and REJECT HJR-6! We definitely need more people like you: heterosexual and passionate about homosexual rights.